How can I convert my XCF photo to PDF ? By using ConvertImage ! 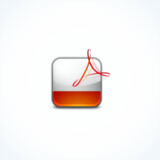 You can automatically transform all your XCF pictures online to the PDF (PDF Document (Adobe Portable Document)). It’s an easy an practical tool ! In addition to this, our tool can process a reverse-conversion and knows how to convert a PDF to JPG. The ConvertImage online app knows how to crop your photo online, scale it down or even rotate it (and many editing tools). Think about ConvertImage to add beautiful photo effects such as vintage TV Effect, Black & White, digital paint effect or a very special Disco effect online, and many others.